It has been a while since we enjoyed some soul-filled looping bump-jive. This long-player has one 28"30' long rich and variously embellished track that stretches across both sides - swirling keyboards, Bra Sello's saxophone and flute, lead guitar, vocals, and walking bass-lines that meander mbaqanga-like around drums and rhythm guitar. 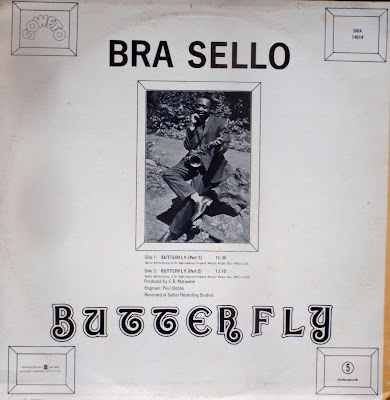 Produced by Cambridge Matiwane and recorded in 1975 on the Soweto label, this album is Selby "Sello" Mmutung's take on the soul-bump-jive genre just before it veered more towards disco. Bra Sello already features on Electric Jive in Siemon Allen's popular Disco Soul Jive compilation here; and Nick Lotay's posting of Mahlatini's 1978 mbaqanga offering, Kudala Besibiza here. 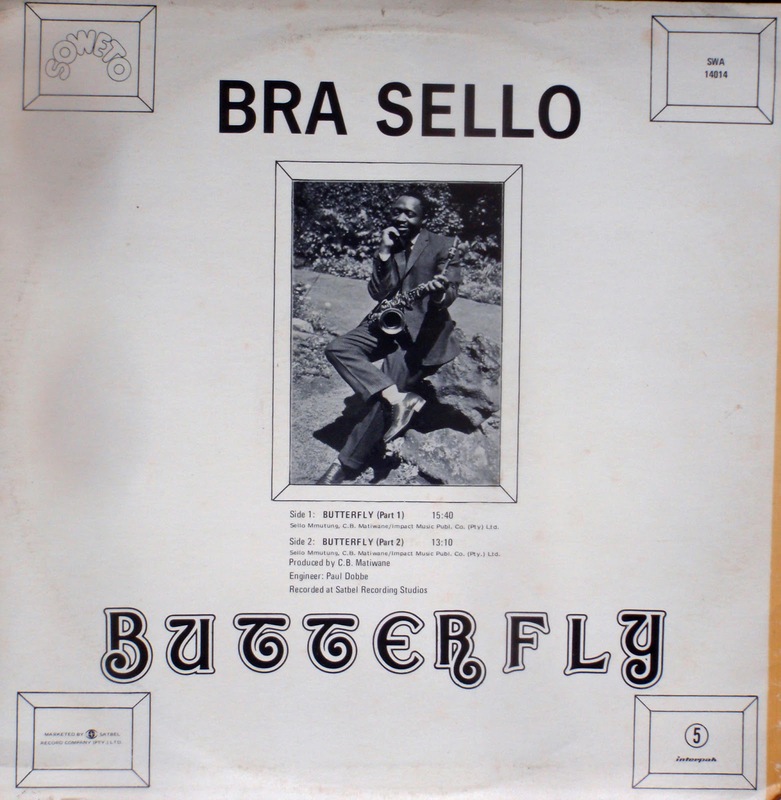 Bra Sello also features on the highly popular Pull-Up compilation of 78rpm recordings, shared here. I am Anurah Singh from pune .Last Sunday I am in Delhi for some official work. After completing my work I returned back to hotel, feeling very lonely at that time. I think about for some entertainment girl. Who given me girl friend experience. I search on Google and found Delhiescortshub provide me independent Delhi Escorts Girls. .DEH one of the finest escorts service provider on internet. Hey friends I am Sonu Shudh from Pune. Last Sunday I am in Kolkata for some official work after completing my work I back to hotel, feeling very tired. I think about some fun with charming girl who can fresh warm up feeling as well as girl friend experience. I have started my search about finest escorts in Kolkata; got the reference of high profile Kolkata escorts services . On Google. That agency send me beautiful girl, Wow what a girl! I am totally surprised. I can’t describe how much fun I had that night. She fulfills all my requirements. I think Independent Escorts in Kolkata is one of the best escorts’ services providers in Kolkata through internet. masterpiece,that musicians play on this album? Electric Jive is currently receiving a deluge of spam. Apologies for the additional word verification requirement. Welcome to ElectricJive. We collect vinyl and African sounds for the love of music - not profit. Africa is blessed with a heritage of music that must be passed on and appreciated again and again. 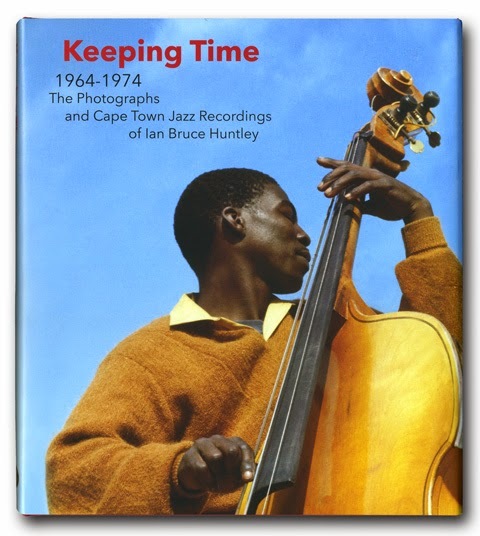 We focus on out of print South African, and other African music that is very difficult to find. Who gets to speak for black French people?